Make Monday your fun slots day with a big Monday bonus and 50 free spins at SlotoCash Casino! Redeem the coupon code 200KUNGFU50 to claim a 200% Monday bonus that includes 50 free spins on the Kung Fu Rooster slot. Good luck! 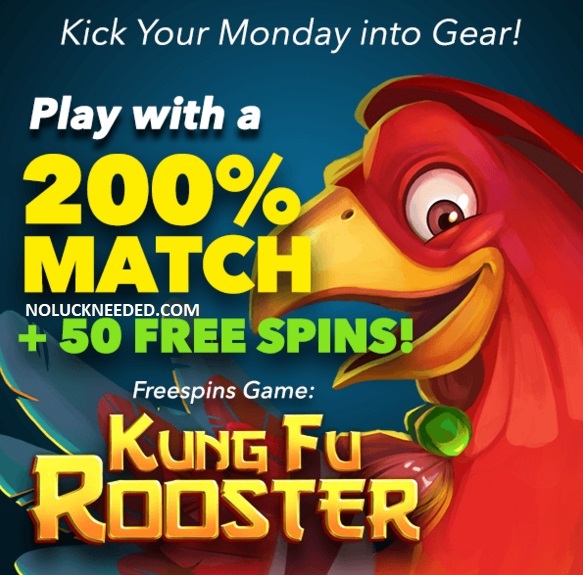 Claim Your Kung Fu Rooster Free Spins and Monday Bonuses at SlotoCash Casino!